A blog that celebrates any form of expression in an analog based form. There is a focus on fountain pens, ink and paper as I am a huge enthusiast but planners, paper craft and the like are fair game. 2018 has been a very trying year for myself and it seems to also be very trying for other people who are close to me. All of this made it so I was ready for something wonderful to happen and it did. 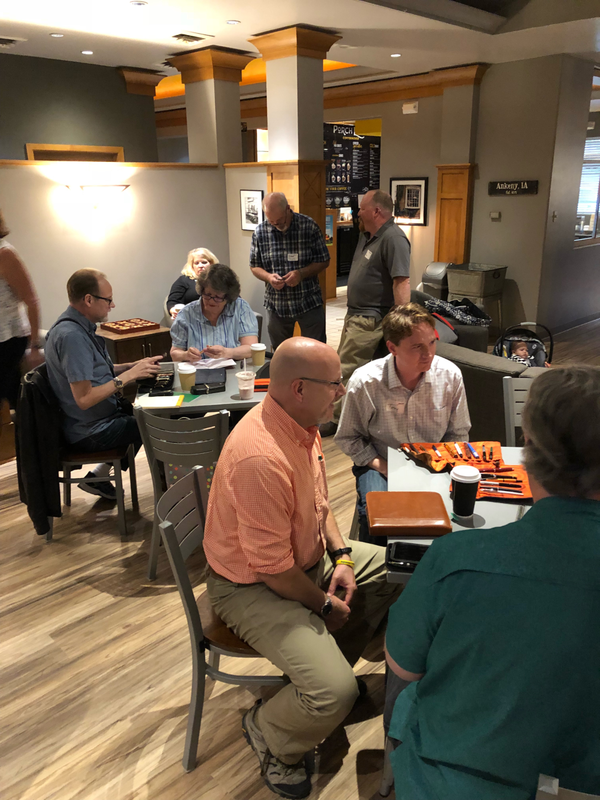 Des Moines, Iowa was chosen to be a hub city for the 5th Annual Pelikan Hub event of 2018. Yay! Something to look forward to and get excited about. This is the second year Des Moines has been selected by Pelikan as we had the required number of registered attendees. 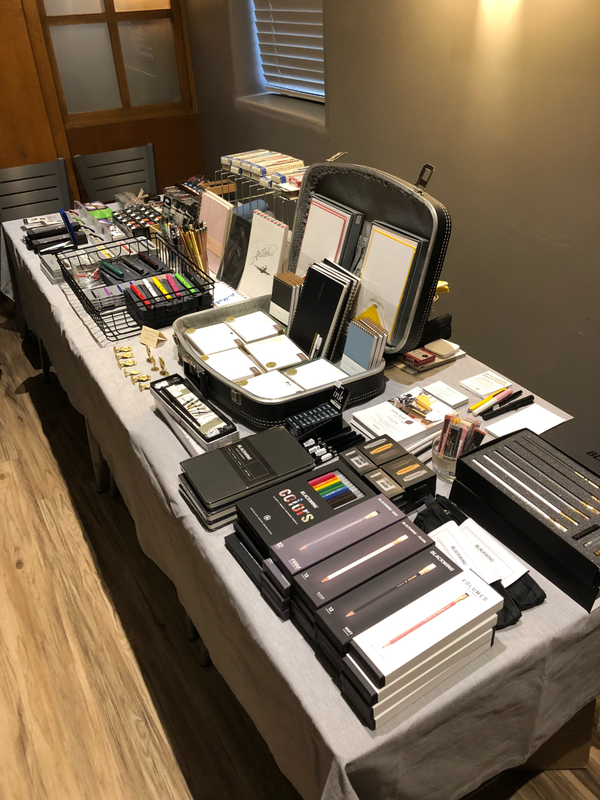 For those who are not familiar, the Pelikan Hub is an event that happens worldwide for pen, ink and paper enthusiasts. The hub is held on a specific date and time and it is special to know that we were among 5,000 participants celebrating worldwide. According to Pelikan, there were 181 Hubs in 46 countries in 2018. There is a person selected in each Hub to act as the Hub Master for the event in their city. I was lucky enough to be picked this year and happened to be the Hub Master in 2017 as well. I brought in a friend, who is also a pen enthusiast, to be my Co-Hub Master for the event. Knowing that I wanted this event to be grand and to help put a happy twist to the year, I knew I could use the planning help. The event turned out to be a great time. There is a lovely coffee shop here that I frequent often and, as a venue, would be perfect. We were able to rent the space for the time allotted for the Hub and the price was super reasonable. We found a local catering business here that had a nice reputation and was able to secure their services for the event at a great rate also. 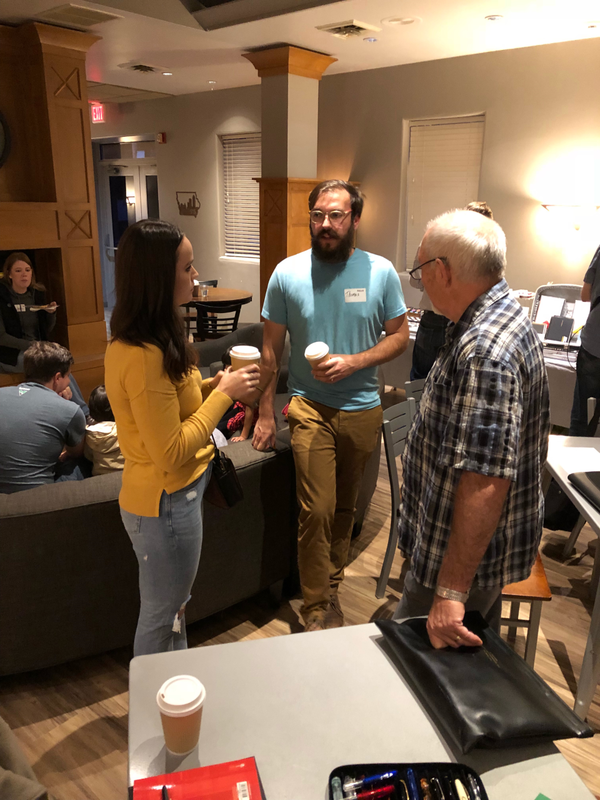 We also thought it would be fun to bring in some Iowa based companies to see if they would like to help sponsor the Hub and attend. We had a great response from the Tokyo Pen Shop (www.Tokyopenshop.com) and Iron Leaf Press (www.Ironleafpress.com). 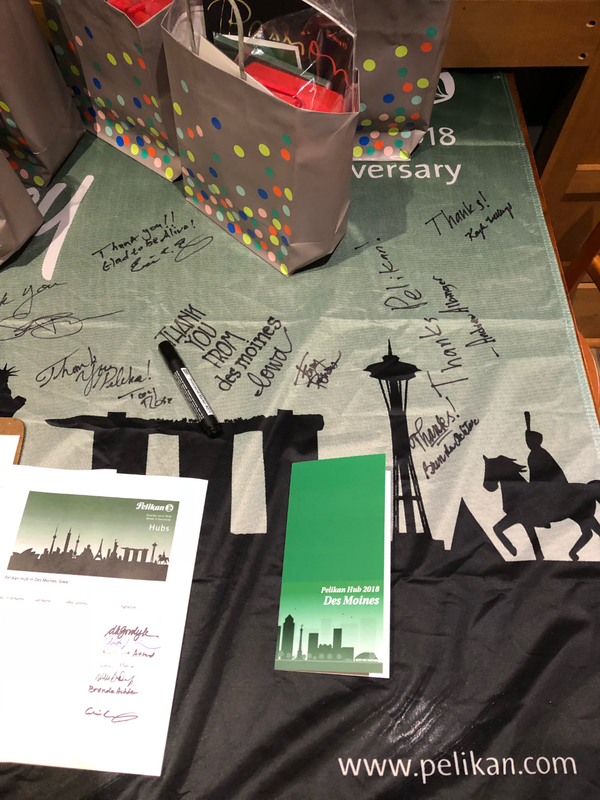 Each company provided a raffle item as well as a little goodie item for each participant. Danielle from Iron Leaf Press was able to attend the event and we were so happy to have her part of this evening. Kimberly with Tokyo Pen Shop happened to have a vacation already planned with her family and family always comes first. 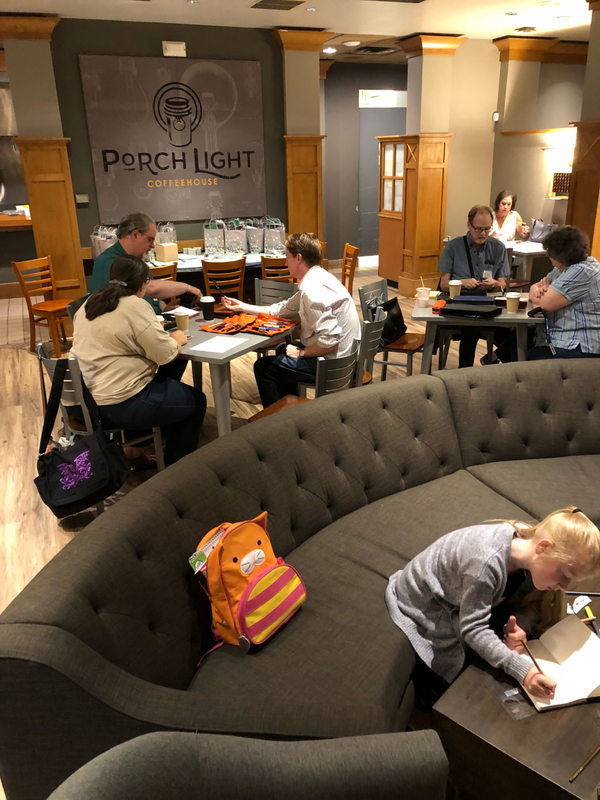 We had a great time during the Hub this year, which was September 21, 2018 from 6:30p - 8:30p. Acting as the Hub Master can be stressful at times but seeing all of the happy faces of the participants is what makes it all worth it. I especially loved that some attendees brought their kids along and they enjoyed drawing on the Pelikan banner. 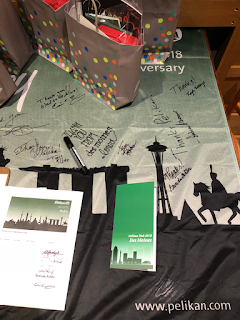 Pelikan sends a large Hub banner for attendees to sign as a keepsake. The kids took full advantage. Thank you Pelikan for the opportunity to host this event in Iowa this year. I needed it and the community loved it. In 2017 we had 5 attendees and this year we had 20 registered. 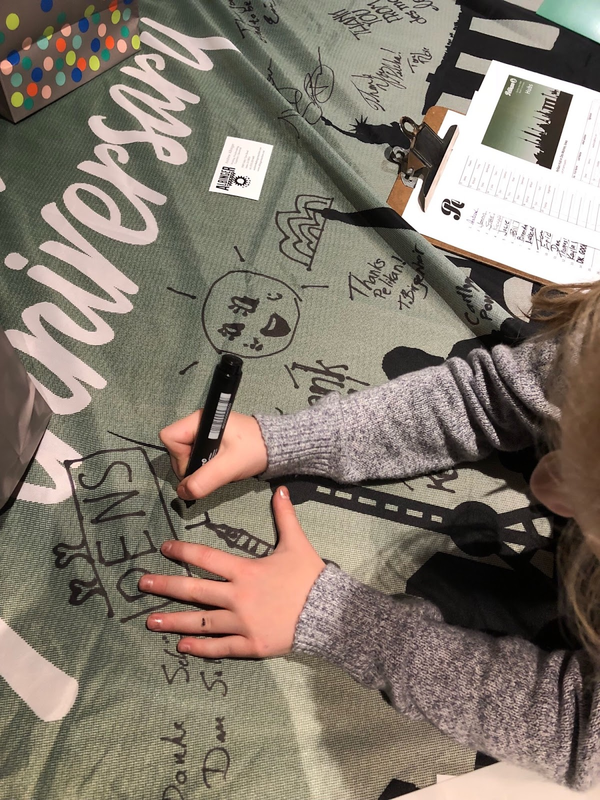 The love of fountain pens is growing and it is so nice to see a company like Pelikan embracing the community worldwide. 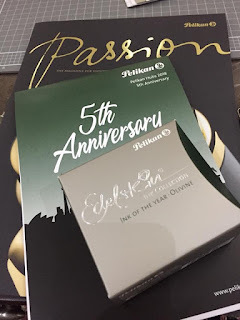 I loved our Pelikan Hub this year as well! The pen community is truly a wonderful one!